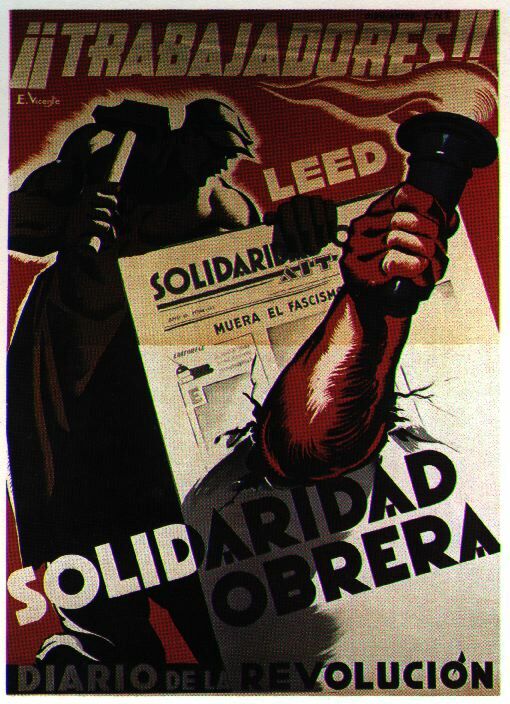 “Solidaridad Obrera” (Workers’ Solidarity), founded in Barcelona in 1907, is the voice of Spain’s Anarcho-syndicalist Confederacion Nacional del Trabajo (CNT: National Confederation of Labour). The following essays were issued to celebrate the hundredth anniversary of “Soli” and together they illustrate the changing fortunes of the Anarcho-syndicalist movement, and its enduring attempt to communicate the anarchist idea. Translated by Paul Sharkey. No worries, jus' chilling after the Donny game. I don't know how you do it tbh. No worries, jus' chilling after the Donny game. T don't know how you do it tbh. I would put it down primarily to doing it in order to procrastinate about things I do really need to do in life. The following essays were issued to celebrate the hundredth day of “Soli” and along they illustrate the dynamic fortunes of the Anarcho-syndicalist movement, and its enduring conceive to communicate the syndicalist plan. Translated by Paul Sharkey.